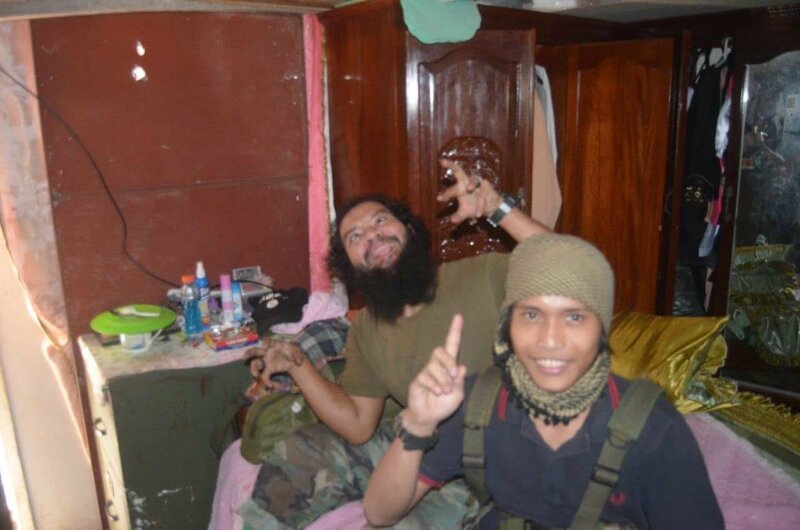 No more than 40 Islamic State-linked fighters are holding out in Marawi City, Defence Secretary Delfin Lorenzana said yesterday (Monday, July 31). “I think there are 30 to 40 left — but these are the good fighters. In fact, we are still sustaining casualties. Our latest, three days ago, was one killed and about nine wounded,” he told reporters at Camp Aguinaldo army headquarters. On Sunday, Lorenzana also announced that five soldiers had been wounded in the fighting. He added that military forces were continuing to clear the areas still occupied by the Islamic militants — house by house, and room by room. He said the army’s progress was further hampered by concerns for civilians being held as human shields. “We are not sure if they will use civilians for suicide bombing, we don’t know. That’s what our soldiers are concerned about, that they might release civilians but with bombs on them,” he added. So far, the Marawi crisis — which prompted President Duterte to declare martial law across Mindanao when it broke out on May 23 — has claimed the lives of 114 soldiers and policemen and at least 45 civilians. Nearly 500 terrorists have been killed, some of them confirmed as foreign jihadis. Army spokesman Brigadier General Restituto Padilla said soldiers had captured a key bridge close to the last redoubt of the militants. Government forces are now in control of Mapandi Bridge, which leads to Marawi city centre, where the remaining militants are believed to be holding up to 100 hostages, mostly in the city’s main mosque, he said. President Duterte has ordered troops to proceed with caution, and not launch any major assault that could endanger the hostages. The Philippine Coast Guard (PCG) has now suspended private seaports in Zamboaga, Basilan, Sulu and Tawi-Tawi (Zambasulta) that might be used by would-be jihadis. Meanwhile, security forces are monitoring a group of former Maoist assassins who have converted to Islam as a possible threat to this week’s summit of foreign ministers in Manila. Twenty-seven foreign ministers from the Association of South East Asian Nations (ASEAN) and ‘dialogue partners’ like Japan, the United States, India, Canada and Russia will gather in the city from Friday until Tuesday. Metro Manila’s police chief Oscar Albayalde said there was no specific threat so far, but police were monitoring several former hitmen of the communist Alex Boncayao Brigade, or ABB, a group of assassins that was active in the 1980s. He said the men had joined pro-IS groups and could be planning to target the meeting. “We are watching several enclaves where there are large numbers of Muslim populations,” he said. Among those is Quiapo, an old commercial district close to the presidential palace area, where a bomb during an ASEAN leaders’ summit in April wounded 14. The authorities blamed the explosion on a personal fued, despite a claim of responsibility by IS. The Philippines is deploying 13,000 police officers to guard more than 1,700 delegates at the summit.